Finding the right event or combination of events to monitor may seem like quite a daunting task with so many events to explore and (frequently) too little familiarity with Extended Events. In this follow-up article to Extended Event Help Queries, I will share another means to quickly explore the Extended Events metadata in the effort to find the precise event to fit your needs. 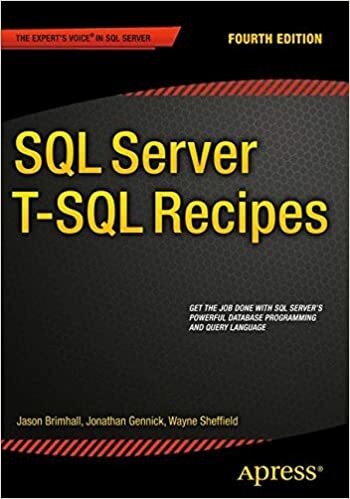 Today I will be sharing a new query or two that I have used on more than one occasion to help track down the event(s) that I wanted to, at least, try while troubleshooting specific problems within the SQL Server Instance. I found these queries useful once again in a recent opportunity to help out some friends from the SQL Community. (Maybe, just maybe, these are really just a spin of other previously shared queries.) I will share the most recent experience in another follow-up post. For the sake of posterity, I am also adding this to the 60 Days of Extended Events Table of Contents. Is There an Event that Contains pertinent Data? This is where searching on the payload comes in handy. Remember from a previous article that the payload is the event data that is attached to each event. Imagine how much more accurate we can become by extending our search from the name and description of the event object to next search on the payload names and descriptions? That is exactly what I will now show. Basically, I am searching against the object_columns metadata dmv for Extended Events just to find any columns that match my theoretical needs. In this case, I am trying to find anything that may help me find events related to the terms “select” or “statement”. When run, there will be quite a few results for these terms. That may actually be a bit of a problem (just the same as if nothing were returned in the results). There is a fix for that (well probably several fixes as you begin to tweak the query). One possible fix is to also include map_values to refine the search. Another fix might be to change the search terms. And still other fixes might include tweaking the predicate. For today, I am going to demonstrate the inclusion of map_values as a secondary tweak to help isolate the needed event. In this iteration, my result-set is trimmed significantly due to the predicate and the requirement for a match based on the map_value name. Ultimately, this trimmed my results down to precisely the events that I needed in this case. With this slightly more advanced version, I have greater visibility into the Extended Event realm to help me find just the right event to match my needs. Are there other Events related to the new found Event? This is some pretty awesome stuff so far. But it doesn’t end right there. Many events are tied together to help provide a more holistic view of the problem. These events are tied together via keyword. You can read more about keywords here. By searching for events based on a keyword, we can get a lot more intelligent about the sessions we create with Extended Events. Taking the single result from the last query and then using the SearchKeyword value, for that event, in this next query – I can potentially go from a Great DBA to a Super DBA. I intentionally included the columns from each of the matching events. Doing this, I can also see what potential payload may be trapped when I attempt to trap any of the events from this result set. There is great power in Extended Events. There is more power in being able to query the metadata for Extended Events in order to trap the appropriate information to properly troubleshoot a problem. Have fun with these scripts and I hope you enjoy. When working with Extended Events, there are times when a little more information is, well, helpful. You know you want to use extended events to try and monitor for a specific thing to happen. But sometimes you don’t know if there is an event for that “thing”, or maybe you don’t know if there is a session already in place to do that specific task (or if it is even running), or maybe you just need better information about the event to see what kind of data it captures when it is fired. Sometimes, this information is easy enough to find. Sometimes, it is less than evident how to find the wanted information. Some of the information may be visible through the GUI (if you are using SQL Server 2012 or later), and sometimes it is just flat out easier to run a quick script. Today, I would like to share a few quick scripts to help find some of this information that can make the life of the DBA just a bit easier. This will query the DMVs related to Extended Events and provide us with the event names that contain the terms used in the filter / predicate. In this case, I am looking for any events that contain the terms “growth” or “file_size”. This is in an effort to try and find anything that might be related to database files changing sizes. You may have seen one of the previous articles on tracking file size changes here or here. The use of the right term to try and trap the right data for the problem that is happening can greatly decrease the time required to find the correct event. There may be a bit of an art involved in finding the correct search term. A little practice can help improve the ability to find the appropriate event more quickly. Knowing if an Extended Event exists for the desired problem is one thing. Knowing what data can be parsed from that event is another thing. Many times, we may not know what kind of data can be trapped with each of the events. Many times, we may just not be trapping enough data. And of course, knowing what kind of data can be trapped by the event may help us in filtering that data down to what is usable for efficient troubleshooting. In this case, I have taken the name of the event about which I want to learn more details. In addition, I only want to retrieve the data columns that retrieve data that could change. As you can see, I am investigating “trace_flag_changed”. You may recall that particular event from a previous article and you can read more about it here. The discovery of the columns available in each event will give us some options to filter as well as some options in what kind of data we parse from the resulting event. Did I Already Create that Session? This is arguably less critical than the others. After all, some will just drop and recreate the session. But why drop the session if you don’t need to? On the other hand, a quick glimpse in the GUI could also display that information. Sadly that doesn’t work for all versions of SQL Server (e.g. SQL Server 2008). Maybe you have the session running, or maybe it is simply created and not in the running state. Finding these sessions and whether they are running or not is rather simple. Just run this next query and it will help you figure out if the session is there or not. All you need to do is plug in the name of the session and away you go. 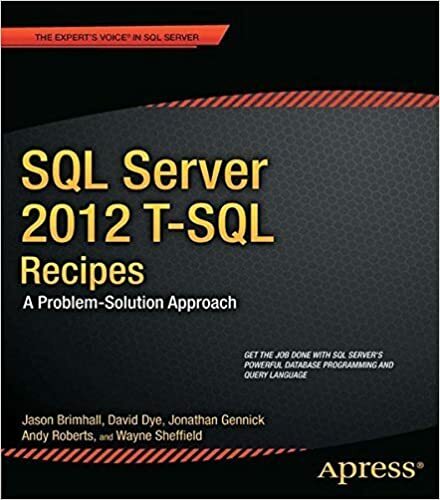 This query has been confirmed to work in SQL 2008 and up through SQL 2014. It should simplify some of the attempts to better understand what is happening with any sessions that might be out there. These are a few quick and simple queries to help you along your way to becoming better acquainted with Extended Events. I hope these will be useful to you and that you will get to know and use extended events regularly. Update: This post is being added to the 60 day series which can be found here. While in here fixing a formatting issue that was discovered, it made sense to also include it in the ongoing library of articles on Extended Events. The monthly Data Professionals blog party has come and gone. It happens the second Tuesday of every month – or at least is supposed to happen on that day. This month, the formidable Chris Yates (blog | twitter) has invited everybody to a birthday party – of sorts. As with many birthdays, there is always somebody that wishes you a happy belated birthday. For this party, it is my turn to offer up that belated birthday. It just so happens there was some coordination between Chris and myself for this belated birthday. Read all about the invite from Chris’ blog. If you missed the link, here it is again – right here. SQL Server 2016 has come with a ton of cool features, bells, whistles and well cool stuff (yes redundant). That aside, what are some of the really cool features that I would love to see in SQL Server? Let’s run through them (And yes, I will be a bit greedy. It is standard operating procedure when asking for gifts, right?). I need some way of being able to reproduce a production database cleanly and efficiently in a different environment. Sure, I can script everything and develop an elaborate process to ensure I got an exact duplicate of the stats, stat steps, stats histogram, schema, procedures, indexes, etc etc etc. Being able to do all of that cleanly and efficiently is the key. This is a pretty big want from clients and could be extremely useful. Microsoft has heard the pleas. Introduced with SP2 for SQL Server 2014 there is a new DBCC statement to do exactly that – DBCC CloneDatabase. Check out all the details here. Gift #1, let’s check that off the list. Instant File Initialization is fantastic and a huge time saver. Unfortunately this only applies to the data files. We need something like this implemented for the transaction log. Currently the transaction log must be “zeroed” or 0-stamped when new space is allocated. This mechanism can delay transactions and impact performance if there happens to be a required file growth or even when trying to manually grow the file or even restore the database. Believe it or not, Microsoft has addressed this request as well. Microsoft has changed how the transaction log is stamped for a significant performance improvement. This is a part of SQL Server 2016. Bob Dorr explains it very well in his blog post on the topic. You can read his blog post here. Wow, two for two. We can check gift #2 off the list. Availability Groups seems to get bogged down under heavy load. The redo and log send seem to get backed up and can have a significant impact on production operations. We need the log transport to be faster. No, check that. Not just faster it needs to be 2-3x faster. SQL Server 2016 comes to the rescue again. Amped up on SQL Steroids, Availability Groups has seen a significant improvement in log transport speeds to the secondaries. Some report it as at least twice as fast. The bottleneck has been moved out of the SQL Engine and it has really amped things up from a performance perspective. Here is a supporting article by Jimmy May on the topic – though it doesn’t go deep into the specifics. Mark another one off the gift registry. Think we can maintain this pace? Statistics seem to become stale for smaller tables which dramatically affects performance of certain queries. These tables will not see 20% of the rows updated in the leading edge any time before the turn of the year but they would likely change within the six months following the turn of the new year. We need to be able to force these stats to auto-update more regularly without extra intervention. Fair enough, we already have a trace flag that can help with that (TF 2371). Maybe the environment or management is resistant to having trace flags implemented for something such as this. You never know what the political red tape may dictate. 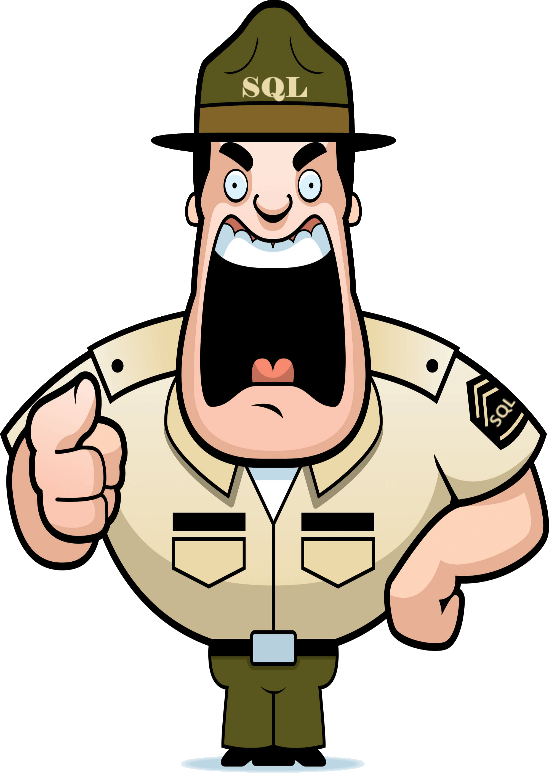 SQL Server 2016 to the rescue again!!! SQL Server 2016 has this trace flag enabled automatically. You don’t need to do anything extra special. What this means is that those stats on the smaller tables may actually get updated without intervention despite the lack of change to the rows in the table. I am getting very frustrated with the constant clearing of usage stats every time I rebuild an index. Just because I rebuild the index, it does not mean that I no longer need the usage stats from prior to the index rebuild. I need to be able to see the usage stats for a the time spanning before and after the rebuild without creating a custom process to capture that information. Sure it may not be an insanely difficult task to perform, but it is extra process I have to build out. It’s the principle of the matter. SQL Server 2016 to the rescue yet again. This age old bug of usage stats being cleared is finally fixed. It is frustrating to say the least to have to deal with this kind of bug. It is a huge relief to have it fixed and be able to get a consistent clear picture of the usage information since the server has been up. For more information, you could read this article by Kendra Little – here. Cha-ching. We are now five for five. This one is going to be a little tougher. It’s not in place. It would be a fantastic gift in my opinion. I would like some tool such as Extended Events to be able to monitor the workload and determine best recommended trace flags to implement.There are many trace flags that are far from well known but could be extremely helpful to production environments based on the workload and internal workflow. Not all would trace flags are built for all environments. An analysis through some automated tool for best recommended flags to implement (again solely at your discretion) would be fantastic. Get Profiler out of Management Studio finally. Enough said there. There really is no good solid reason in my opinion to keep it around. It is deprecated. It is hardly helpful with 2014 or 2016 and it is just dead weight. Extended Events really is the better way to go here. Can we please fix the spelling of JSON? It really needs to be spelled correctly. That spelling is: JASON.